Techplus ltd. offers the portable Turnkey Brakesafe brake tester for commercial vehicles applications. It features a HGV trailer testing mode that may be used to determine HGV semi-trailer/trailer brake efficiency. The Brakesafe portable brake tester with printer has been a hit since its introduction to the Irish market by Techplus Ltd. last year. 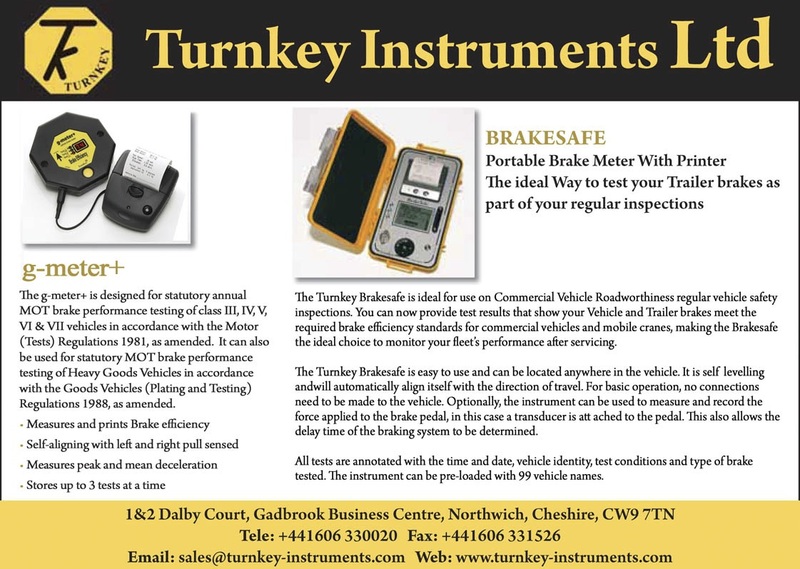 The Turnkey BrakeSafe is ideal for use on Commercial Vehicle roadworthiness vehicle safety inspections. 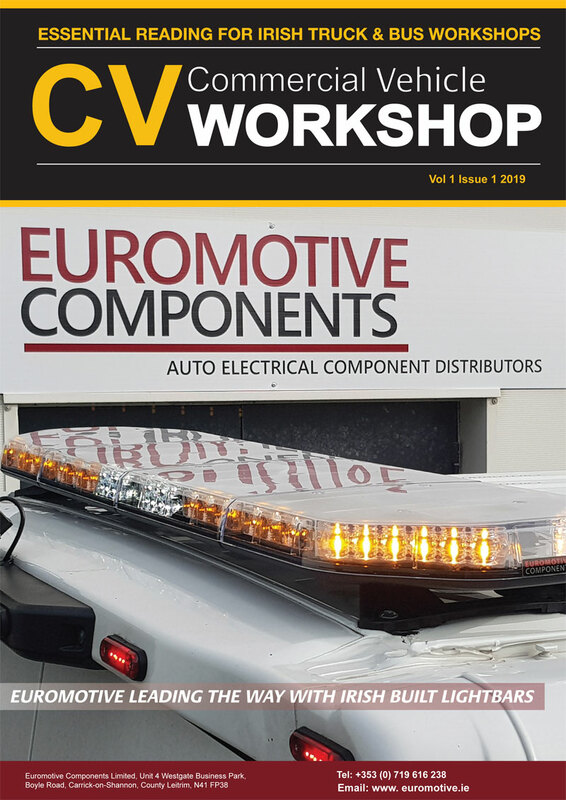 Workshops and fleet operators can now provide test results that show the vehicle and trailer brakes meet the required brake efficiency standards for commercial vehicles and mobile cranes. Another popular Turnkey product in Ireland is the g-meter+, which is designed for statutory annual NCT brake performance testing and is approved for all classes of road going vehicles (including class I and II). Techplus is the Irish distributor for Turnkey Instruments Ltd. who will be exhibiting at this year’s CV show in Birmingham at stand 4D64. For more information contact Techplus on 01 404 9060.